1. 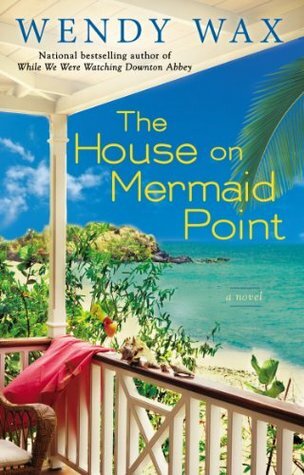 The House on Mermaid Point by Wendy Wax for review. 2. 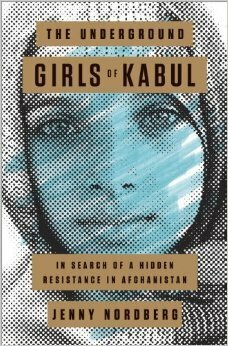 The Underground Girls of Kabul by Jenny Nordberg from LibraryThing Early Reviewers. In Afghanistan, a culture ruled almost entirely by men, the birth of a son is cause for celebration and the arrival of a daughter is often mourned as misfortune. A bacha posh (literally translated to “dressed up like a boy” in Dari) is a third kind of child – a girl temporarily raised as a boy and presented as such to the outside world. Jenny Nordberg, the reporter who broke the story of this phenomenon for the New York Times, constructs a powerful and moving account of those secretly living on the other side of a deeply segregated society where women have almost no rights and little freedom. 3. 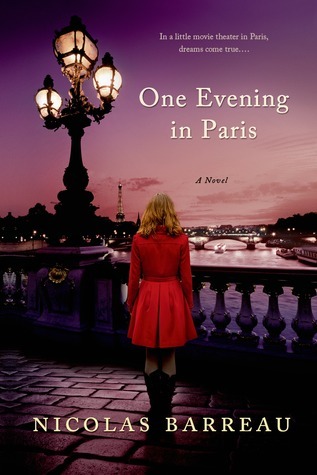 One Evening in Paris by Nicolas Barreau, an unexpected surprise from St. Martin’s Press. Alain Bonnard, the owner of a small art cinema in Paris, is a dyed-in-the-wool nostalgic. In his Cinéma Paradis there are no buckets of popcorn, no XXL coca-colas, no Hollywood blockbusters. Not a good business plan if you want to survive, but Alain holds firm to his principles of quality. He wants to show films that create dreams, and he likes most of the people that come to his cinema. Particularly the enchanting, shy woman in the red coat who turns up every Wednesday in row 17. What could her story be? One evening, Alain plucks up courage and invites the unknown beauty to dinner. The most tender of love stories is just getting under way when something incredible happens: The Cinéma Paradis is going to be the location of Allan Woods’ new film Tender Memories of Paris. Solène Avril, the famous American director’s favourite actress, has known the cinema since childhood and has got it into her head that she wants the film to be shot there. Alain is totally overwhelmed when he meets her in person. Suddenly, the little cinema and its owner are the focus of public attention, and the red-plush seats are sold out every evening. I like The House on Mermaid Point. Love the cover too. 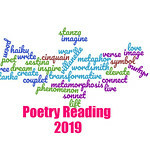 ENJOY all of the books. Ha! I’d read anything taking place in Paris! Enjoy your new books! Enjoy the books. The House on Mermaid Point looks like a fun read. They all look good, enjoy! These all look good…I am eagerly awaiting my copy of The House on Mermaid Point. Love those characters! I love those characters too! I can’t wait to read the Wendy Wax book! I love Wendy Wax! I hope you love all of your new books. The House on Mermaid Point sound like a nice fun read for the summer. Your other books look good too. I hope you enjoy all of them. The book from St. Martin’s Press looks delightful! Jenny Nordberg’s book looks really interesting – something I don’t much about, but I feel I should.